When you are away all day, what does your dog do? Play? Bark at every sound? I have suspected that mine sleep most of the time when I am gone. They also sit on the stairs in our hallway where they can see the driveway through the window, waiting for someone to come home! Thankfully, it has been quite some time since everyone has been gone long hours at the same time but I sure do remember what it felt like knowing that the dog was alone for 8+ hours a day. I hated it. Many years ago I actually PRAYED that the Lord would send some kind of entertainment for our yellow lab, Blondie. I was desperate! When we got home from work there were paw marks down the dining room wall. My only guess was that there had been a spider on the wall just high enough to get her attention but out of her reach! LOL A one time blessing but I was looking for a daily solution. If you are in a hurry, just click here to find the BEST pet monitoring cameras under $99.00! When we finally got a second dog it lifted the guilt quite a bit but not everyone can, or wants to, have two dogs. So, what can you do to make their days go better? Leave the television or radio on for some familiar noise. It isn’t real company but the background sound may be comforting. Leave fresh water and food. Leave a light on, in case you don’t make it back home until after the sun goes down. Leave SAFE toys. That is a tough one since one dog’s “safe” toy can be the next one’s trouble. You know your dog so choose those toys wisely. Keep dangerous items out of reach. We have a basket of medicines on the table when we are home but it goes inside a safe cupboard each time we leave the house. Our 1 year old puppy is a paper-eater, too, so I have to do a search for napkins, newspapers and such to get them out of the way way before we go out the door. Find reliable help. You can have a friend come by to let the dog out to go potty. If they love walking, perhaps they would be willing to walk the dog for you. There are professional dog walkers for hire, as well. If you are not going to be able to walk your dog after work, have someone do it for you. Buy a pet cam. Our son has a video system that he uses to check in on his dogs while he is at work. It gives him comfort to know that all is well. On one occasion, he called us for help as he discovered that the electric had gone off in the house. We went right over for him to check on the house and his pets. If your dog must be crated for several hours, get him a very big cage. My yellow lab, Sadie, sleeps at night in a crate that is sized for Great Danes (they call the size “ginormous” LOL) She has had some problems with joint pain and we want her to be very comfortable. With this super-sized crate, she can stand up and move around. Sadie is such a good girl that we wouldn’t crate her at all but at night we do it for our own safety. We don’t want to trip over her if she moves around the house. The puppy? Her crate is also big (it is the 42″ model) We just love spoiling our girls! So, how do you handle things when you have to leave your pet for a long day? Do you have someone help you? We love our fur babies, don’t we! Yes, we love them, we cuddle them, we play with them and we buy them toys. Heck, I just bought my puppy a sweater! Never thought I’d see the day that I would buy clothes for my dog but she looks so cute in it. With all the joy our beloved pets bring to our lives they also bring more paraphernalia to stash and lots more cleaning to do. But we don’t mind. It’s part of being a pet parent. Hooks – use decorative hooks for hanging leashes, collars and dog apparel. Aren’t these little doggie behinds adorable? For those who like a subtler look, a nice pet command station may be up your alley. Baskets – wicker baskets – and fabric ones, too – are lovely to look at and so convenient for stashing pet toys. They are perfect for Fido’s or Fluffy’s vitamins and medications, too. Cleanup Pail – place a large pail just outside the door to the house or in your mudroom that will hold their shampoo, pet cleanup bags, brush ( I love the furminator!) and towel for those muddy paws! Doggie Travel Bag – keep a “doggie on the go” bag packed for your pooch. Whenever you want to hop in the car and take your dog with you, it will be packed and ready! Treat Jar– make it easy for you – and not so easy for your fur babies – to get to their treats by putting them in a decorative container right on the kitchen counter. I really like this one! Got any great tips on how you organize for your furry friends? So, for the longest time I was using a laundry basket for their toys. They could get toys in and out easily (I would put them in – THEY would take them OUT.) It wasn’t pretty but it was functional. It was located in the foyer making it very visible from both the dining room and kitchen. Not exactly haute couture! I wasn’t exactly sure what to do so I just lived with it. Then I went to a Signature Homestyles party and found my answer. I bought a fashionable woven cube storage box with hinge top to use as a toy box for the dogs! to keep the dogs’ toys organized! Bailey’s favorite toys are her Y-shaped bacon flavored Benebone, a squeaky blue dog plush toy, a stuffed cow that she sleeps with in her crate (she has one for each of her crates*), her Kong Wubba Toy (she flips that crazy thing all around!) and her leather dog bone. *Bailey has a crate located near our kitchen where she naps and stays when we go out. She also has one upstairs near Sadie’s crate. Sadie is plenty old enough to be loose in the house but she moves around at night, wanting to be near us. We love that but it is dangerous. We could trip over her in the dark. So, I got her a super-big crate that fits a Great Dane so she would be more comfortable. She loves her crate. Got any tips for organizing your dogs stuff? One easy way to organize your dog’s toys! Please also note that this author is not a Signature Homestyles representative or affiliate. I simply love the products and love working with Carla Friedman, my Signature Homestyles rep. I get absolutely nothing if you purchase from Signature through links on this post. Being a work-at-home mom has its advantages. You can do things that you could never do if you had a 9-5 job outside the home. You can take time off for school field trips whenever you want to, for instance. How about this ⇒ you can work in your pj’s! You also can take breaks to clean out a closet, load the dishwasher, do the laundry or walk the dog. None of those things can ever happen in a traditional work setting. And – ta da – you can also get a new PUPPY! Today that is just what we did. We got a puppy! Say “hello” to our new bundle of joy ⇒”Bailey!” She is an 8 week old mix: 40% Australian Cattledog, 20% Boxer and 20% Bulldog. Isn’t she pretty? Her story is kind of interesting. My niece was pregnant with her 5th child. She was finding raising a young dog – “OB” for Obi Wan Kanobi of Star Wars fame – and four young children a bit overwhelming. So she and her husband decided to adopt a second dog to keep OB company. Seemed like a great solution. Well, the little Australian Cattledog they adopted, Leia (yes Princess Leia!) was pregnant with pups, unbeknownst to them. It wasn’t till they could see the puppies moving in her tummy that they figured it out. Surprise! Dog pregnancies are just 8-9 weeks long and only a few short weeks later 8 bouncing baby boy and baby girl PUPPIES were born! 10 dogs and four kids in the house. My resilient niece and nephew had a lot on their hands. Now this is the part that I found fascinating. Apparently dogs can be impregnated by more than one male. Leia started out in a dog pound where they did not separate the dogs so, you guessed it, more than one doggy daddy! It appears that there were 2 dads. My niece had the puppies’ DNA tested, as the prospective families wanted to know their new pet’s heritage. Three of the dogs are a mix of herding dogs and German Shepherd. You can see it. They are almost 5 pounds heavier and very fluffy. The other 5, of which Bailey is one, are Australian Cattledog, Boxer and Bulldog. When I was a little girl I had three boxer dogs so hearing that made me very happy! And, though she doesn’t have any Labrador Retriever in her, her mannerisms and face do remind me of our beloved labs. Can it get any better than that? You will think I am crazy but I swear that she asked to go out to go potty today. New home, only 8 weeks old and learning the ropes already? Probably not but it sure seemed like it. Thank goodness for dog crates. We have one near my in-home office (in the kitchen) and another upstairs in the bedroom where Sadie’s crate resides. Sadie, our lovely green-eyed Yellow Lab, only sleeps in it at night, which really is for our sake. She’d love to sleep in our bed with us – all 100 pounds of loveliness. She takes up so much space it gets hard to roll over and, if she slept on the floor I am concerned she’d change her location in the middle of the night and one of us could trip over her. Not a good idea. Good thing she loves her crate. I just bought her a super-sized one that is made for a Great Pyrenees Mountain Dog or Great Dane. She has lots more room to move around. Though we have been in and out the door ALL day long, little Bailey is now curled up next to me on the couch while I write this post. Another perk of being a work-at-home-mom! Are you a WAHM? You a dog mom? Loving it? Tell us a little about your life! Love puppies? Think about when you first brought your little fur baby home. She was cuddly, licky, snuggly, squirmy and truly a baby. If you haven’t had a young pup in a while, memories may have faded into everything fun. We all loved it, didn’t we? But with her youth comes messes. She poops – she pees – she may even have an upset tummy once in a while and your new little love, who doesn’t know anything, lets it all happen on your beautiful clean rug. My little gal, Sadie [100lbs of yellow lab loveliness] was just the size of a big tea cup when we met her 4 years ago. Of all the silly things, this picture of her doing her business is the first one I took! Believe me, the lawn is not the only place where that happened – not by a longshot. She is what inspired me to make this new-dog busy bag for my brother’s family. They are getting a new puppy and plan on naming him “Boomer” Cute! As we all know, when puppies don’t have enough to do, they find things to do. Sadie did! I remember the day she first discovered mud. She enjoyed every gooshy minute of it. As you can see by the picture below, she got on the carpet before I could catch her. Aren’t those muddy paws adorable? Of course, the carpet needed some TLC after I captured it on film. Then there was the day she brought a TREE into the house (OK… part of a tree.) She needed to chew and took it upon herself to solve the problem – thankfully it was a tree and NOT the furniture! With that experience in mind, I decided to make a busy bag for the new arrival including the most important part: STAINMASTER® Carpet Pet Stain Remover. STAINMASTER® Carpet Pet Stain Remover is the best way to be prepared for the inevitable messes pets will make. Whether it is the occasional piddle or poop on the rug or muddy paws, Stainmaster cleans it up great. Not only does it do an excellent cleaning job, leaving an invisible protective shield protecting your carpet from resoiling, but it deodorizes beautifully, too. Check it out after you use it. There will not be a trace of sticky residue where you applied it. None! I only wish I had had it when Sadie was little. I use it all the time now and, guess what? It also works great on other everyday kinds of stains like coffee, grape juice, jelly, ketchup, chocolate syrup, motor oil (YES!) and soil. You can find Stainmaster products at your local Target. That is where I bought my first bottle! So, while I was there, I got the brilliant idea to buy one of the red Target recyclable bags to use for my new pet busy bag! Made it so easy:) Next, I went to the pet supplies section of Target and bought some dog toys including teethers and chew toys plus a few plush toys, as well. Along with the stain remover, this will make a great starter gift for their new arrival. How ever did Sadie figure out those were DOG toys, anyway? I thought had been discreet. Oh well, I may have to give them to her and go buy some more for Boomer. LOL. Lay the felt letters on the bag for placement. One by one, remove the backing and adhere the letters to the bag. *Do an internet search to find the dog you want to use! Make 2 copies so that you can keep one as a reference. Cut apart the other copy for your pattern and lay the pieces out. One at a time, hold them on a piece felt with one hand and cut around the shape. Lay each piece down flat somewhere, after it is cut, to keep track of where every piece goes. Starting at the bottom of the dog – in this instance, the neck and collar – dab glue onto each part and place it on the bag. Complete the process of creating the dog’s face. Glue two big googly eyes on. Let it sit for a few hours to be sure that the glue holds. *You may want to check to be sure that the glue did not go through to the inside. I did not find that to be the case with mine but if it had happened, I would have put something inside to let the air flow while it dried. Fill you bag with doggie goodies and a bottle of Stainmaster Carpet Pet Stain Remover. Do you know someone who has a new puppy? It’s the perfect time to introduce them to Stainmaster Carpet Pet Stain Cleaner – they will be so grateful! THE BEST PET VACUUM I HAVE EVER OWNED! Shedding pet fur is such a nuisance. It sticks to everything: clothes, carpets, furniture. It can seem like an unending process to keep it cleaned up. So, what’s the solution? Not have a dog? What are you kidding? No dog-lover will ever agree to that! Who can resist this sweet little face? No, there HAS to be another answer to the pet hair problem. Surprisingly, it isn’t always the long-haired breeds that produce the most. Some of the short haired dogs, such as Labrador Retrievers, have two coats. An outer and an inner coat. This serves as insulation from extreme heat and cold. However, as the seasons shift, the lower coat also does…all over your house. There are some methods and products that will help you control the unwanted pet hair in your house. Next, stay on top of the project. If you let your house go for days, the build-up may seem insurmountable. It’s not but it’ll be a much bigger job. Vacuum the house frequently. If there is a lot of fur on the carpets, or it is stubbornly sticking to the carpets, carpet powder does wonders. Vacuum Tip: the Shark Liftaway Navigator Vacuum is the best I’ve ever used. Removes ALL pet hair with ease. Empties like a dream! Click here for my Shark Vacuum review. Arm & Hammer Pet Fresh Odor Eliminator for carpets with “vacuum booster” is like a magnet. This by far is my #1 choice for getting up pet hair from carpet. Sprinkle it on. Wait up to 30 minutes. Vaccuum it up. The pet hair clings to the powder and pulls it all into the canister. It works great and does remove the pet smells as well. Magik Lint Brush— though created for clothes, this little tools works great on upholstered furniture in removing pet hair. Gets 99% off with ease (nothing’s perfect!). Pet Hair Sweeper — the Pet Hair Sweeper does a very good job on sofas and other fabric-covered furniture. It is disposable but each one lasts quite a while. I’ve heard that some people have found a way to edge the fur out from inside and get more use out of it. That’s up to you if you want to try it! Libman Precision Angle Broom — I had my angle broom for the floors in my house but, in desperation, decided to vigorously sweep the stairs and see what would happen. My stairs are navy blue and the white dog-fur from our yellow labs gets thick. Using back and forth strokes, the fur was literally “flying” off the stairs and onto the floor below. Then it was so easy to just vacuum it up! A Clean, Damp Sponge — yes, simply swipe a clean damp sponge across the surface of your sofa’s and upholstered chairs to remove hair. If there is a lot of fur, bring along a pan of clean water to rinse and squeeze the sponge out. My Favorite Vacuum Cleaner is a Bissell <- – > gets pet hair up beautifully and empties with ease! So, how have you been taking care of your pet hair problems? Help! The Devil Won’t Let Me Organize! Yes, that’s right. It’s not my fault. Someone’s out to get me and it has to be the devil! Who is more opposed to order and in favor of chaos than he? Just when it looks like the coast is clear, “life” gets in the way and all my well-intentioned plans go right out the window. Today, puppy mischief put me over the top. Yes, we got a puppy. The devil did not make us do it – it was our idea – and we are so glad we did but why can’t she follow the rules? Just as she catches onto things, she gets bored and starts projects of her own. Today was “rug day.” I think she was definitely taking advantage of a situation. I’ve been battling a cold and outdoor time in the snow was just “potty and in again”. She was bored. So, she chewed on rugs and carpets and moved them around a lot. Five month old SADIE enjoying “RUG DAY”! Big-sis dog LEXI totally not interested in RUG DAY, sleeping right through it. Then my dear old dad and my much younger dear husband both had stays in the hospital. Dad 3 or 4 times. Hubby? One for 8 days with followup in-home nursing care for a month. How do you plan for that? You don’t! Now, I have a cold. It’s a mild one but it slows things up. So, what do you do when LIFE HAPPENS? How do you move ahead when the tide is pulling you back? BRILLIANT-ISH IDEA: using my own strategy featured in “Take Control, Clean a Drawer” today I took on little tasks that have been looming in the background – things that need to happen but NEVER happen because I’m too busy doing everything else. 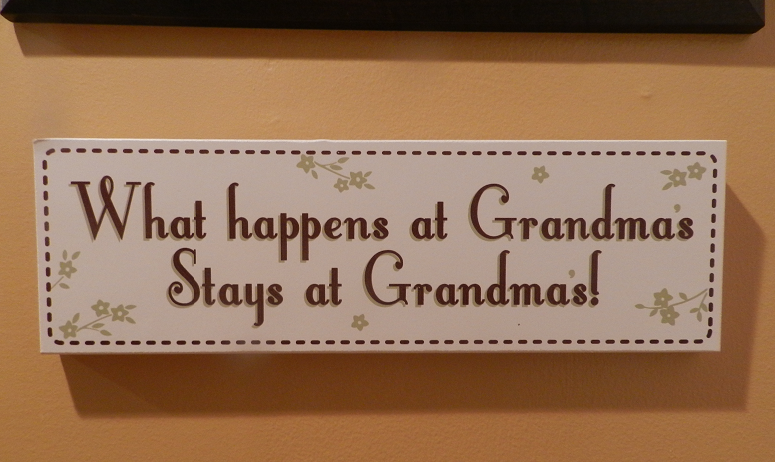 To start with, I finally mounted the cute sign I got from my kids for Christmas. It’s been leaning up against the wall waiting to find a home. 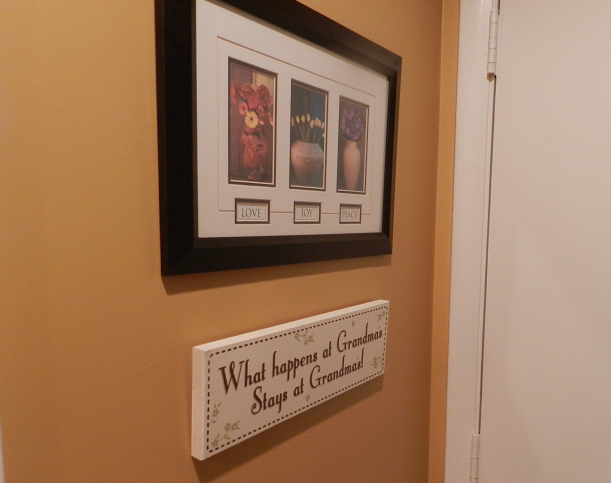 I measured, leveled and hung my new plaque on the kitchen wall. Though I didn’t make great strides, it feels so good to have accomplished two things that have been waiting and waiting for attention. How’s your to-do list look? When life gets in the way, how do you handle it? Hey Honey, Let’s Get a Dog! The Good, the Bad and the Ugly of Dog Ownership. Families with children just seem to need a pet. Wouldn’t you agree? It completes the picture. Pets can be a fun addition to any household. Cats, birds, hamsters, lizards, bunnies, fish…even horses and turtles…can make good pets. The all-time American favorite, though, is the dog. Canines have been the number one choice for decades. 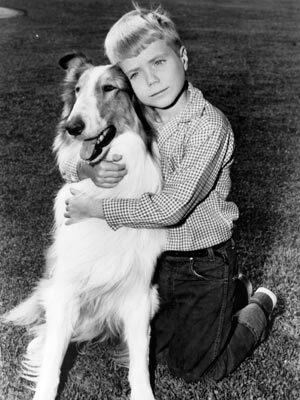 We can probably thank the 1954 television star, Lassie, for that! What makes a dog such a good pet? Companionship! No other animal is so devoted to its master. Fido will greet you at the door after a hard day’s work with wiggles, a wagging tail and a big doggy grin. For the rest of the evening, he’s your shadow. Wherever you go, he goes. He’s missed you! Enter the kitchen and he’s right there. He wants to know what you’re doing. Throw the ball, he’ll fetch it. Don’t want to throw the ball? He’ll do his best to convince you that you do! Time for a walk. Fido loves his walks. Even with a fenced yard, he still wants to go walking with you. Dogs are also great protectors, comforters, playmates (some better than others) and are inexpensive to care for. Medical costs will come into play if your dog gets sick but, generally, the cost of having a dog is minimal compared to the joy he brings. Dogs are forever! Owning a dog is a life-long commitment. 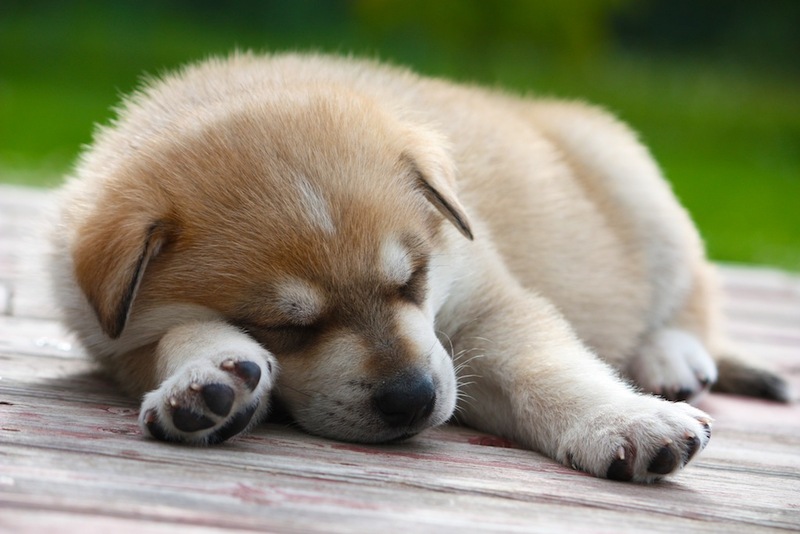 Dogs have a life span of approximately 12-15 years. A dog needs a loving home where he will be a cherished family member from start to finish. Where to begin? Owning a puppy is like having a baby. They need constant attention, consistent training and lots of play. Do you have the kind of time that a puppy requires? Elderly dogs have their own set of needs. Are you prepared to keep your new dog “forever”? Fido will be faithful to you; he needs you to be faithful to him. Dogs chew things. That’s how they were made. Give your new dog a place in your house to call home along with his own bed and toys to play with. If you keep him supplied with dog-safe bones and other appropriate toys, you will minimize the chance that he will chew up your shoes, furniture and clothes. He still bears watching, though. He’s a dog. Dogs have accidents. No matter how well he’s trained to ask to go potty, there is the occasional accident. If a dog eats something that doesn’t agree with him or has the flu (dogs can get sick, too), he may throw up in the house. He’ll try to do it in a discreet location but it is never where you want it to be! Dogs bite. 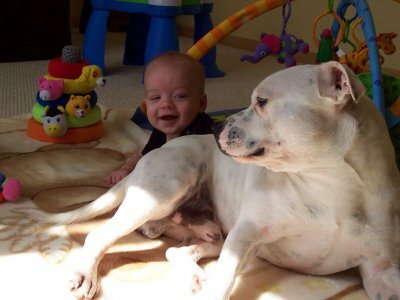 We hear horror stories about pit bulls and other dogs attacking people, even causing deaths. The stories are sadly true. According to Amy Holtz, founder of Hope 4 Your Canine in Pittsford NY , more often than not children are bitten by the family dog. “Yes, children are bitten by dogs more often than adults. Of those, most of the time they were bit by their own dog.” she said. The reason? The child has not been taught how to properly approach a dog. Poking the eyes, overly teasing, pulling his tail, taking away his toy while he’s playing with it, interfering while he’s eating or sleeping all can lead to a snap or nip or worse. 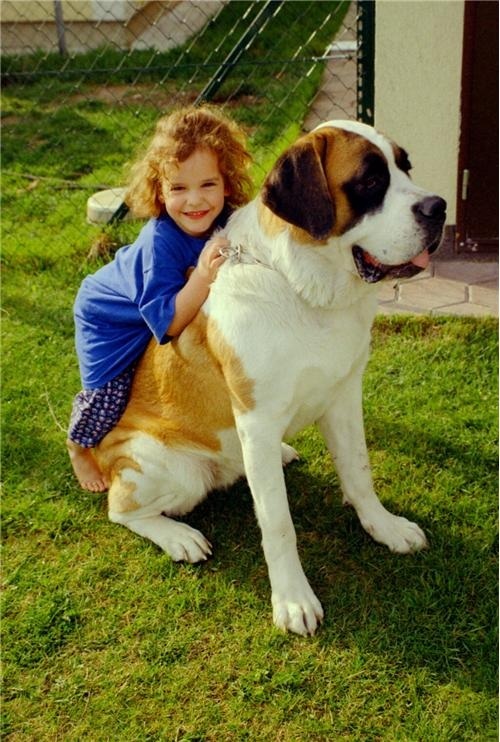 There are a myriad of cases where the dog was instinctively reacting to protect himself and the child was hurt. Amy has devoted much of her life to providing training for dogs and their families. She teaches strategizes that work. Her expertise in canine training and behavior has earned her the title of “New York’s Dog Whisperer”. And who is sitting for whom? One of Amy’s newest programs helps families with pets to adjust when there is a change in the wings. It is a “When Baby Comes Home” service. She begins working with the expectant mother, spouse and family months before the blessed event to make their house baby and dog friendly. Amy can help you to make it a smooth transition. She will instruct you on how to get your house ready, practice new routines that will affect your dog and is even available to be a “Dog Nanny” for those first weeks after you and your baby come home. The new mother can concentrate on getting some rest and taking care of the baby while Amy walks, plays with and cares for the dog. Find the right breed. Young families with little tikes will need a dog who is gentle and patient with children. Young dogs need as much play as a toddler does, maybe even more. All dogs need exercise and attention. Athletic owners will probably want a dog that can go running with them. In that case, don’t pick a low-energy, couch-potato dog. Take your time to study the breeds and ask questions. Talk to dog owners, dog trainers or even find an online dog forum to get sound advice. Puppy or adult? Puppies are babies. They eat and go potty often and they put everything in their mouths. Be ready to take them out when they wake up, when they go to sleep, before they eat, after they eat, and in between. Train yourself to take them outside frequently and, eventually when they’re older, they will tell you that they need to go. Keep a close watch, too. You’ll be taking things away from him often, till he gets the hang of it. So much of training a dog is a matter of the owner being well-trained. If you wish to start out with an adult dog, why not adopt? Contact a dog rescue organization like Rudy’s Rescue to adopt a dog. Ask a lot of questions about his history beforehand. Some rescue organizations, like Rudy’s, have had the dogs live with a family for a while, kind of like a canine internship. The host family is trained to observe the dog and gather information that will tell what type of family he might best fit in. So, what is “the ugly”? It is realizing, after the fact, that owning a dog is not for you. It happens. Do not despair, there is help. Rudy’s Rescue, also founded by Amy Holtz, is one of many dog rescue organizations in the Rochester New York Area. You can call on them for help and advice. Rudy’s was founded to rescue Labrador Retrievers but they are very willing to advise you in finding a solution for any difficult dog situation. And they may have some suggestions that can even turn your situation around. Just email them at dawgsrkids2@rudysrescue.info and tell them what’s going on. If you aren’t sure that your family is ready for a dog, why not start out with a pet that requires a little less attention, or with a shorter life-span? Do some online research about cats, birds, fish, bunnies, rodents (hamsters, gerbils, mice) to see if any of them is a good fit. Having a pet can be a great adventure for you and your family to embark on together. This article is a reprint originally published in the March 2011 edition of the Genesee Valley Parent Magazine and written by Sinea Pies.